Corruption, injustice, mercy, reconciliation and love are relevant themes which daily confront us. However, never have they appeared in so humorous and pleasing a shape as in the musical Desperate Measures directed and choreographed by the superb Bill Castellino. 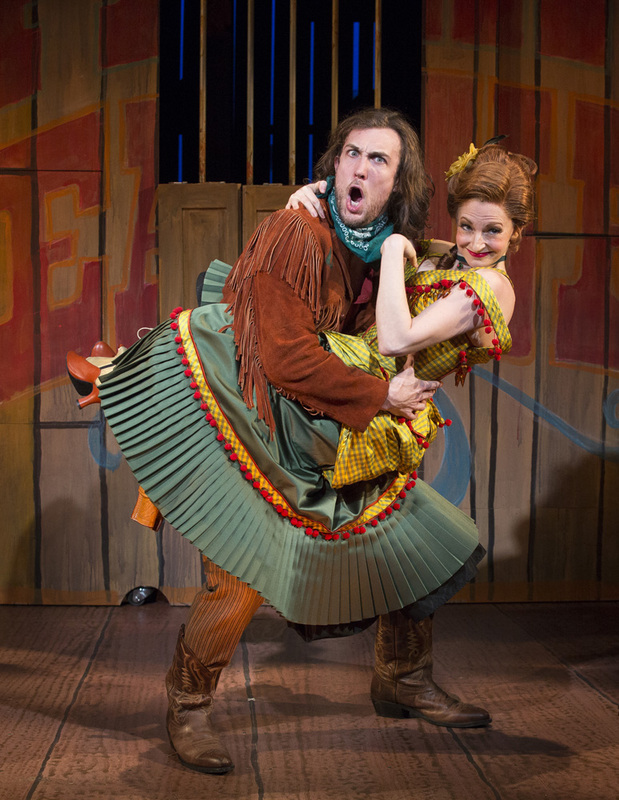 The production which initially premiered Off Broadway to a successful run at The York Theatre has moved its delightful and shimmering hi-jinks to New World Stages. Desperate Measures’ book and lyrics by Peter Kellogg and music by David Friedman, spins a clever, Western spoof of Shakespeare’s Measure for Measure. The creators and cast rocket the musical into the heavens as a multi-genre work that incorporates farce, comedic satire, poetry, music and romance. Added to this are lavish helpings of LOL humor and generous dollops of word crafted grace. The show provides one lovable, riotous time. 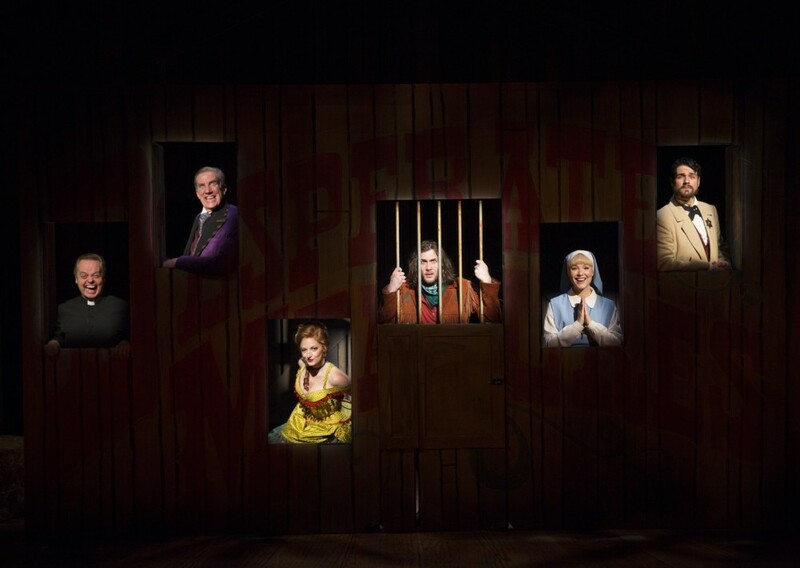 It is no wonder why the production has garnered fifteen award nominations, including Best Musical from the Off-Broadway Alliance Awards (which it won), the Outer Critic’s Circle Awards (which it won), the Drama Desk Awards and the Lucille Lortel Awards. It has also won two Drama Desk Awards: Peter Kellogg won for book and lyrics and David Friedman won for music. Thanks to David Hancock Turner (Music Director/Orchestrator) and the design team for contributing to effect such an amazing production. Audience members return to see the musical again and again. When you see the show, which has been given one or two gentle tweaks since its run at The York Theatre, you will understand why it is such a favorite. Importantly, it hearkens back to more traditional musicals where the singing isn’t continual and uninterrupted operaesque monotony. In fact, the unique dialogue which wittily references Shakespeare’s rhymes is in couplets. How Kellogg arranges the speeches with crystal clear vitality so that they are beautifully enhanced by the spot-on end rhymes, is miraculous. He gathers the rhymes so seamlessly, so effortlessly. The effect is hilarious, not only with regard to the dynamic twists of plot and characterization, but the rhymes are funny in and of themselves; they strike the rhyming bullseye every time. The poetic nuances fuel the humor. And the exceptional, well-heeled ensemble vibrantly lifts the songs to repeated high points throughout with delectable wit and style. Cast voices are full bodied and gorgeous and the melodies are remarkable. I left humming favorites. A great joy for me this Broadway season, is that the actors’ enunciation is letter-perfect. Unlike other shows I’ve seen, with Desperate Measures I heard and understood every word, subtle nuance, syllable and inherent sound effect. Each member of the cast displays abundant musical and acting gifts to deliver the timeless story about how justice may prevail in an unjust environment when individuals stand together. Specifically, cowboy Johnny Blood (the adorable and brilliantly talented Conor Ryan) with the help of a motley group of friends including a depressive, alcoholic, philosophical priest (the riotous Gary Marachek) thwarts his unjust hanging by “law and order” Governor von Richterhenkenpflichtgetruber. The governor, memorably portrayed by the hysterical and iconically nefarious Nick Wyman, proves absolute power cannot yield justice. Sheriff Martin Green’s (the glorious Peter Saide) astute strategies steer a plan to thwart Johnny’s death sentence through twists and digressions. 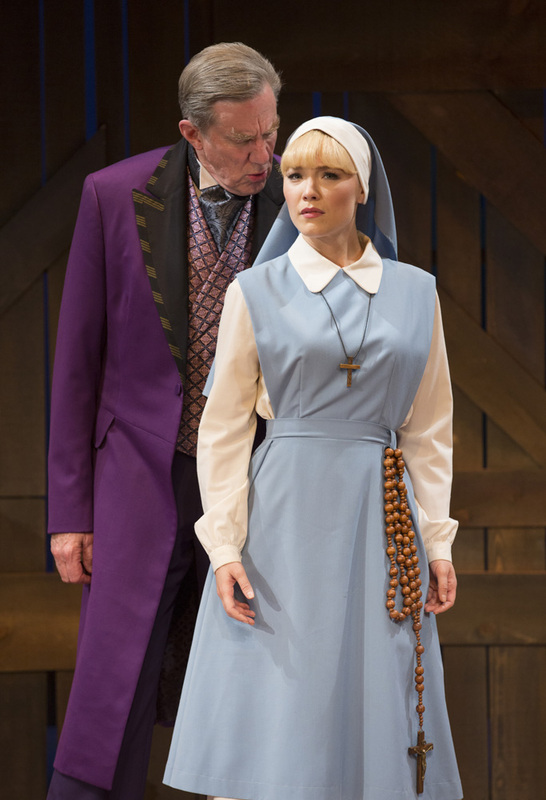 Thus, Johnny’s sibling, Sister Mary Jo (the lyrical Sarah Parnicky) pleads to the governor for Johnny’s life. The conflict expressed in the songs, “The Ballad of Johnny Blood,” “That’s Just How It Is,” “Some Day They Will Thank Me,” “Look in Your Heart,” and “Good to Be Alive,” explodes when the governor extracts the quid pro quo from Sister Mary Jo: her brother’s life for her chastity. The Sheriff engineers a devious stratagem to convince the governor he has received what he wanted without sacrificing Sister Mary Jo (a novitiate). In the process he elicits the help of Johnny’s love, the saloon girl Bella Rose. Lauren Molina is just smashing as the rousing, “flexible” woman with a heart who entertains the cowboys by day in “It’s Getting Hot in Here” and the governor by night in a shifty switch that is priceless. As the first act closes with a beautifully rendered ensemble piece the fabulous “In the Dark,” we are hooked by this thrilling, exuberant production. What happens in the second act to resolve the complications? You will just have to see for yourself this favorite of musicals. Its frolicking, yet beautiful message especially sustains us during these bumpy times.